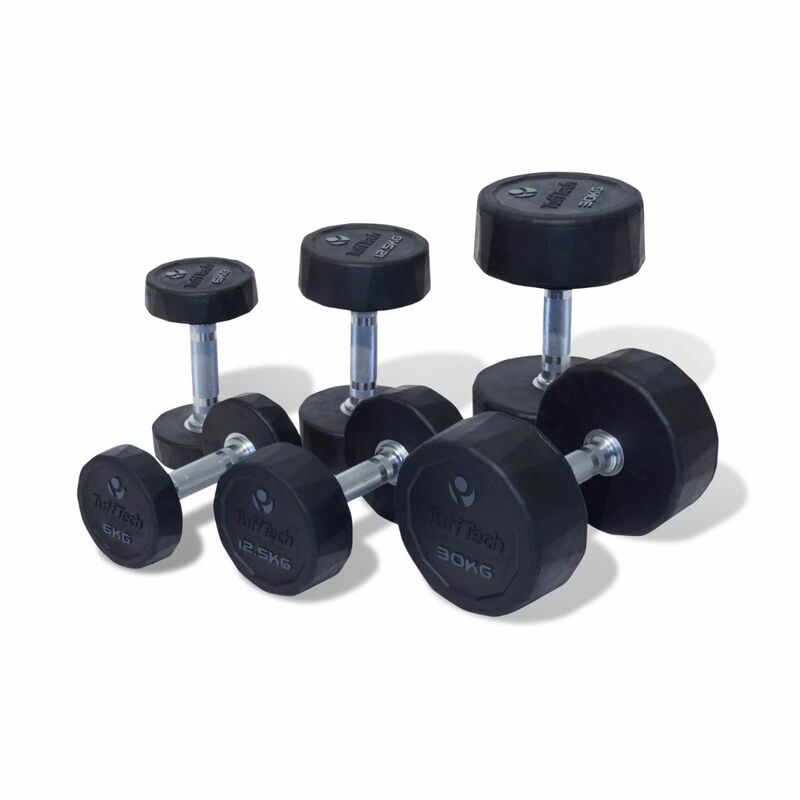 For homes or studios, pairs of dumbbells offer a myriad of exercises for a cost effective outlay. 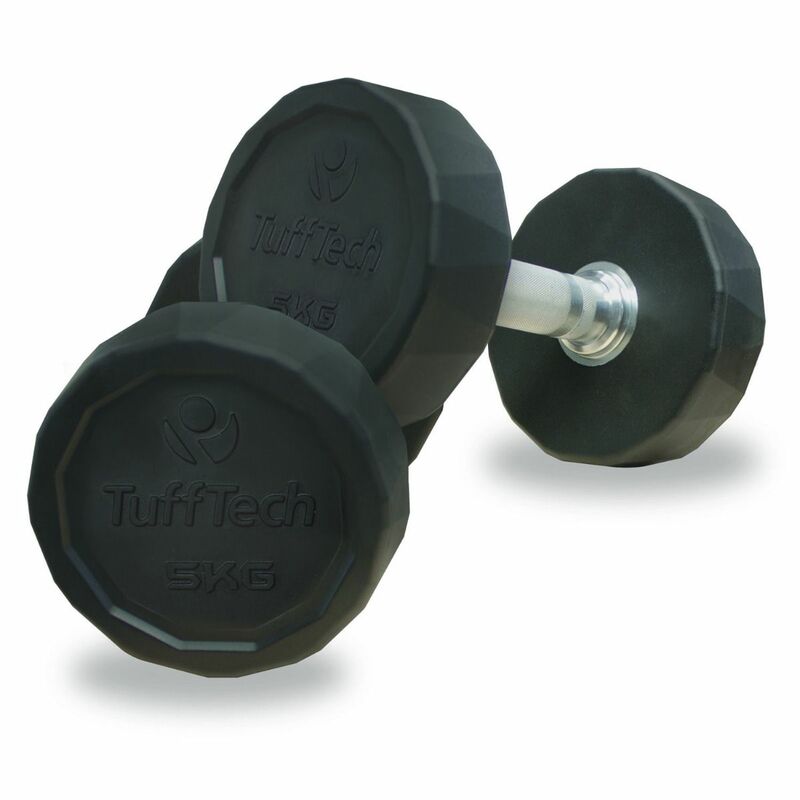 These Tufftech rubber dumbbells have been well designed and offer great value for money. 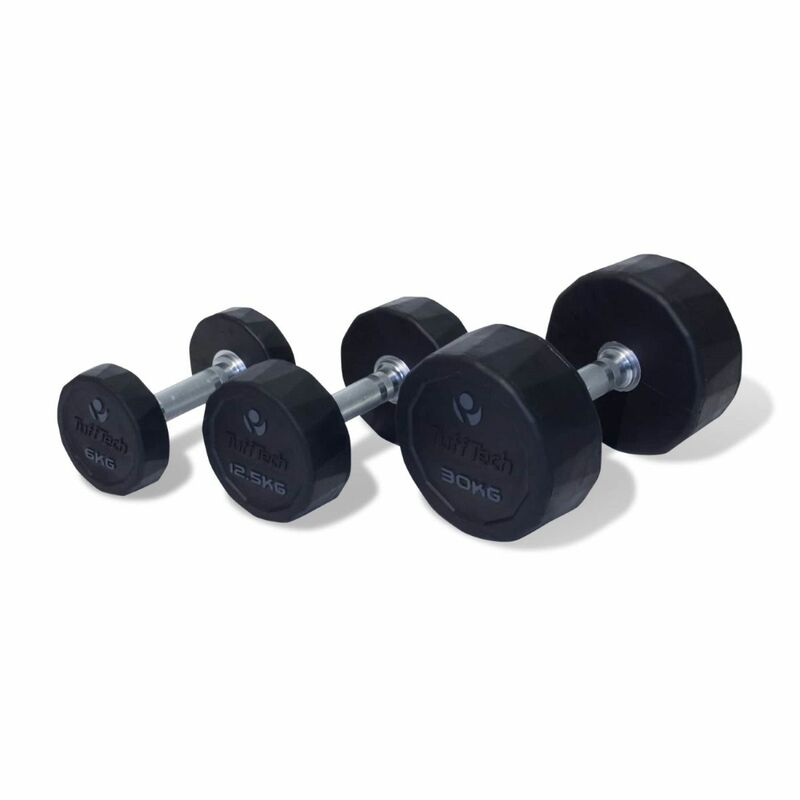 Dumbbells are one of the most regularly used pieces of gym equipment due to their versatility. With hundreds of effective workout sessions possible, every home or gym should have them. 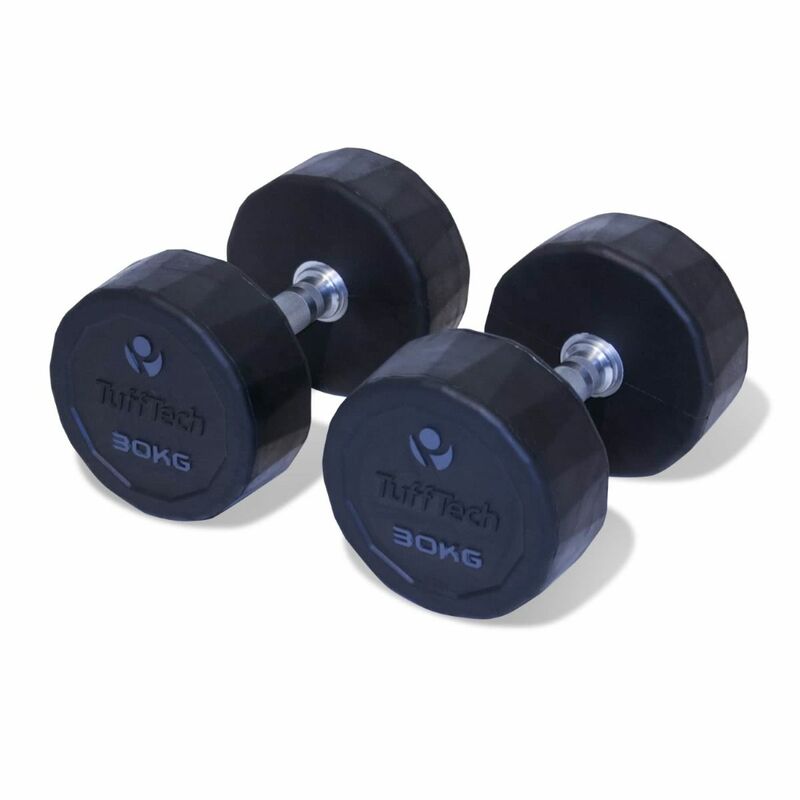 Primarily rubber dumbells offer less scratching and a slightly quieter experience. These are rubber encased with the straight chrome handle. Commercial grade, they are very hard wearing and stylish. Part of an extensive range that goes up to 50kg per dumbbell, you can pick and choose the weight you want when you need. 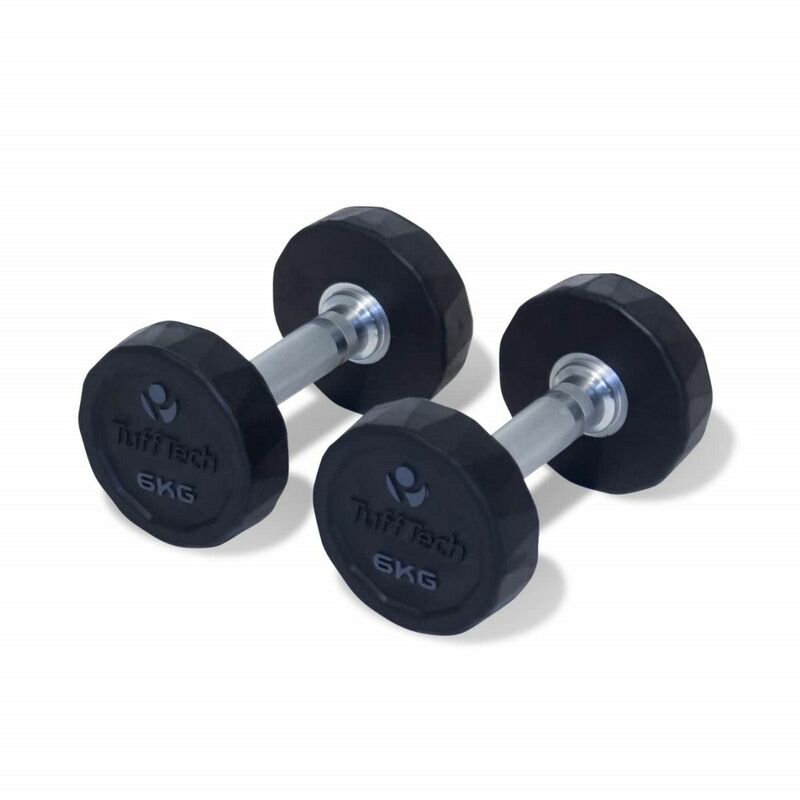 Perfect for the home gym or commercial studio alike, these rubber dumbbells are of commercial standard, but ready for home use too. 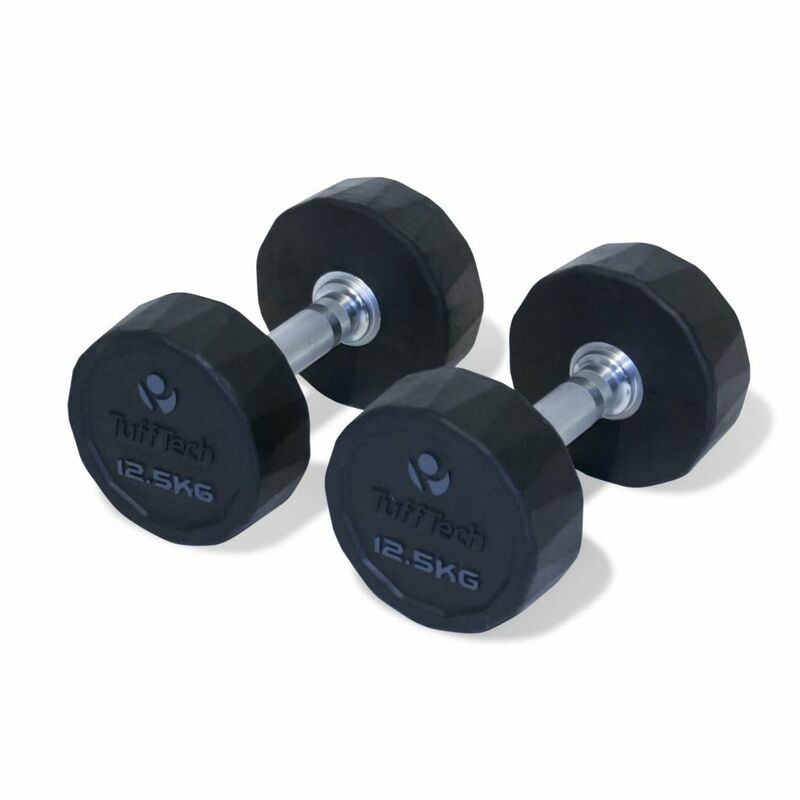 These rubber dumbbells are sold as pairs and thanks to the complete range, are good therefore for beginners and intermediates right through to advanced gym users. They have been manufactured with a straight chrome handle that also has the knurled handle grip that ensures you get a comfortable but firm grip even when you're getting hot and sweaty. Perfectly balanced, whether you want for bench work or floor work, they are stylish with the matt black finish and more importantly won't scratch your floor thanks to the rubber finish. 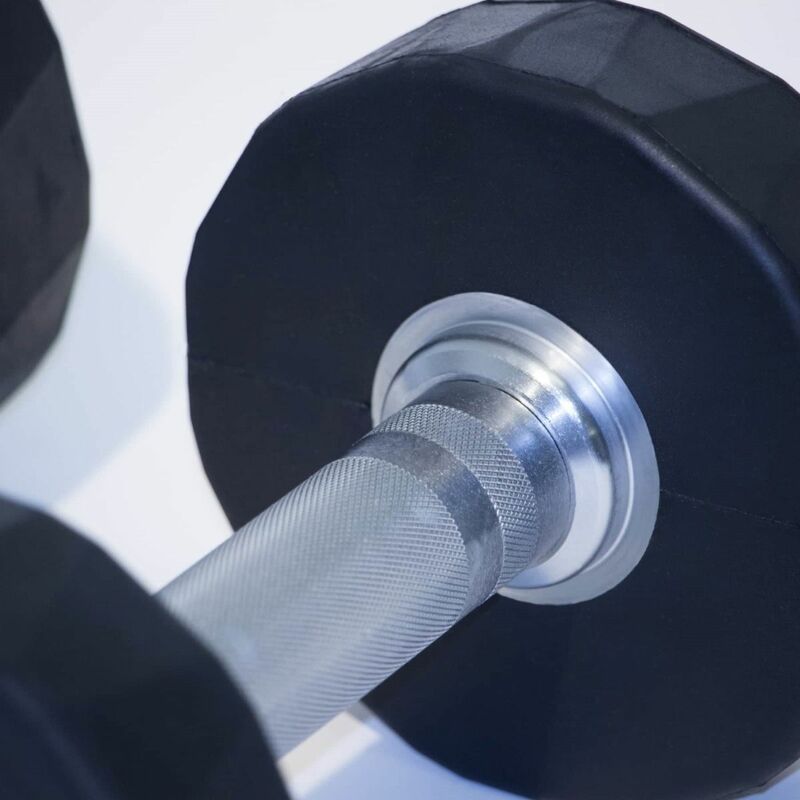 Apart from the value for money they offer, dumbbells are about as versatile as you'll get for a single piece of gym equipment. With such a wide range of exercises possible with the same piece of equipment, this means your home gym can remain relatively uncluttered whilst you workout your arms, legs, chest, back and shoulders.